Lately a few users have been complaining about Outlook not updating and refreshing their new mail and Outlook constantly asking for a password. These are people within our network so Outlook should connect to our mail server without prompting for a username and password as long as their computers are joined to the domain and they are using the right username and password. We have a company policy enforcing people to change their passwords every 180 days, so when they change their account password is when they start having this Outlook issue. 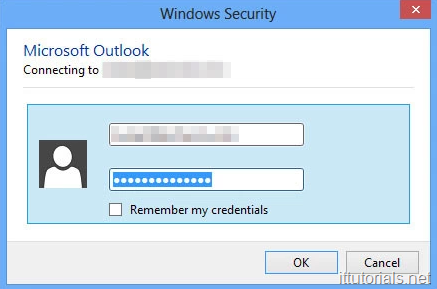 The reason why this happens is because when they get prompted to enter their username and password while using Outlook from home, and click the “Remember my credentials” option the account information gets save in the Credential Manager Vault and it doesn’t get updated when they are forced to change the password, but Outlook still tries to authenticate using the credentials saved in the vault. These users are using Outlook 2013 with Windows 10. I don’t know if the issue also occurs in Outlook 2016 or so. Search for the Outlook saved credentials under “Generic Credentials” and then click on Remove. Open Outlook again, and now it should connect to the mail server without asking to enter your credentials.